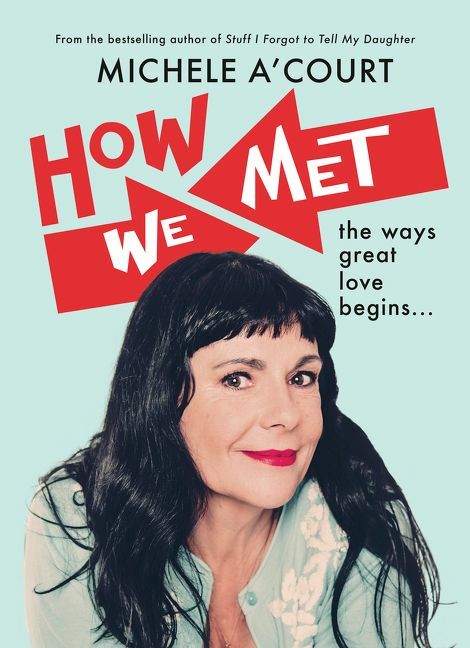 How We Met has a pretty simple concept – Michele A’Court (feminist-comedian-badass) interviews a bunch of enduring Kiwi couples about how they met. There’s all sorts in there, lots of missed opportunities and first date mishaps, disapproving parents and friends, coincidences and romance. The stories themselves are, of course, wonderful – Michele captures them on paper in a way that makes you feel that you’re sitting across from the couple with a cuppa – but what makes the book so special is the larger idea behind these stories. The ‘how we met’ story, Michele reckons, serves a greater purpose than just letting someone know the juicy details of how it all went down. Recalling that story provides an opportunity to really engage in the feeling, the same connection, spark, joy, that they felt way back when. Further, it seems that revisiting these feelings in tangible ways helps to keep a long-lasting, enduring relationship fresh and exciting. So How We Met is a collection of glorious, real-life stories from Kiwi couples, but it’s also a reflection on relationships in general – the common and also totally unique experiences, difficult and glorious, of living life with your ‘one in particular’. The thing I liked most about this book was how accessible and relatable it felt. Many of these stories are so intimate, so personal, so full of ‘in-jokes’ and ‘you had to be there’ moments, that it would be easy for the reader to feel a little removed from the action. But Michele tells them in such a comfortable way – I could tell because, as I was reading, I was finding something on nearly every page that I wanted to read aloud to my partner. Many of these relationships started at a similar time, although there are exceptions to that, of course. A happy and perhaps unintentional result of this means that the book reads a little bit like a snapshot of life for young people in New Zealand in the 70s and 80s. I loved this aspect of the book – it made me think of my parents, the stories I have heard from them (over and over) about how they met. And of course, New Zealand being very small, there were places and even people described in the book that, by a degree or two of separation, I had a connection to. I also enjoyed the practical elements weaved through the book – the science behind the way our brains make memories, made accessible to non-science-brained folks like me. The list of relationship advice from these couples towards the end, too, felt totally sensible and not at all far-fetched (as those kinds of lists can sometimes be). Michele is in Ōtautahi next Tuesday 15 May, interviewing the magnificent Robert Webb (of Peep Show and That Mitchell and Webb Look fame), with thanks to WORD Christchurch and the Auckland Writers Festival. Robert Webb’s book How Not To Be A Boy was in my top 3 reads last year. It’s remarkable and funny and challenging, and this event will be really special. TL;DR: This is a sweet, generous and intelligent book. I recommend it – especially if you’re looking for something cozy, curled up on a winter afternoon.